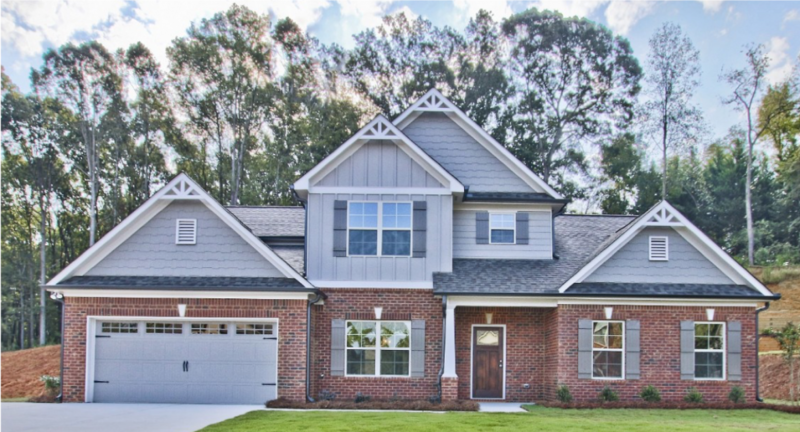 If you are looking for a new home in Atlanta, this is the perfect weekend to visit Heritage at Jefferson, offering incredible new homes in Jackson County. 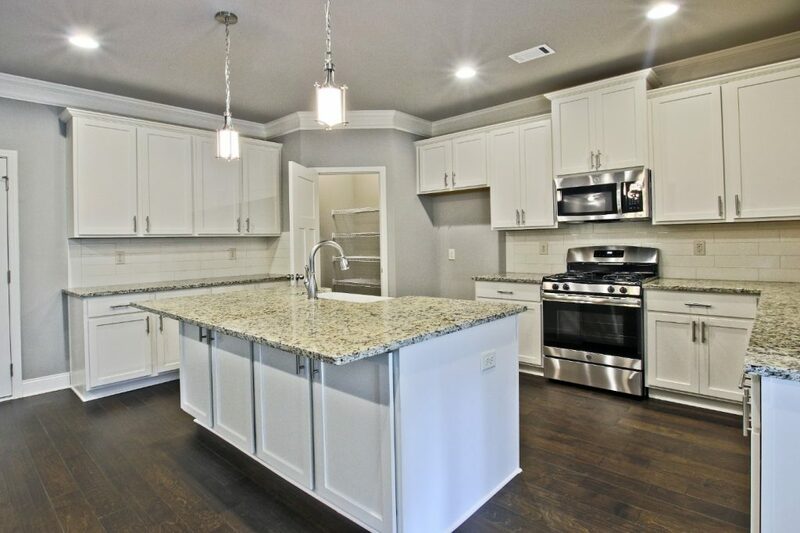 Hurry in today – only one home remains at Heritage at Jefferson! 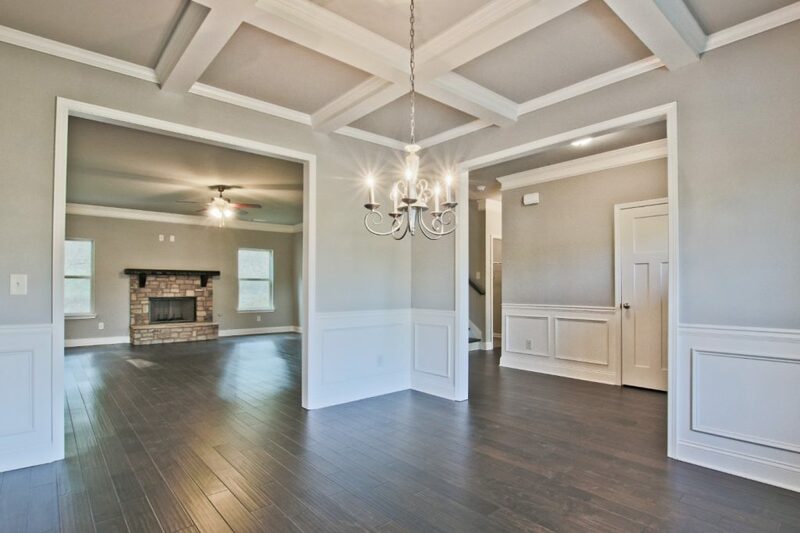 This beautiful home, located at 2200 George Bush Lane (Homesite 112), offers 4 bedrooms and 2.5 baths. From the gracious covered front porch, enter the home through a beautiful foyer with hardwood flooring that extends throughout the main level. The main level features an open-concept layout, perfect for entertaining and everyday living. 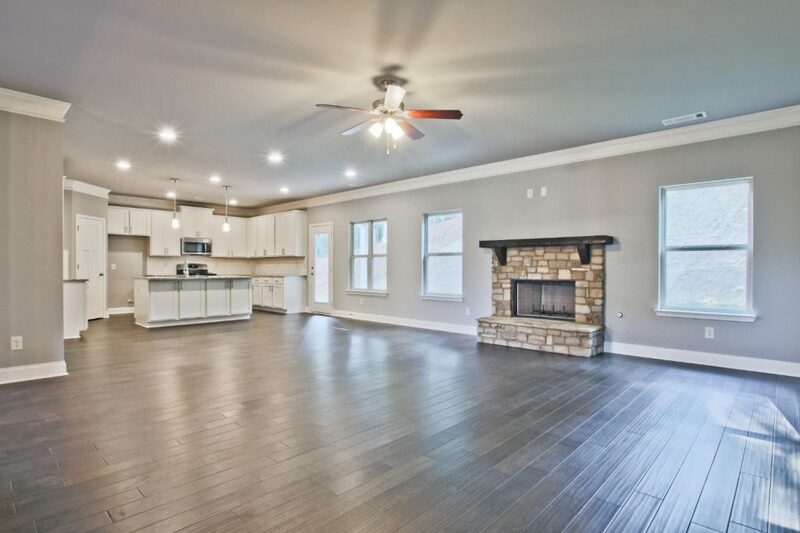 The spacious great room is bright and airy and has a gorgeous stacked stone fireplace with cedar mantle. The great room is open to the gourmet kitchen with granite countertops, tile backsplash, huge island, stainless steel appliances, pendant and recessed lighting, and an abundance of white cabinetry. 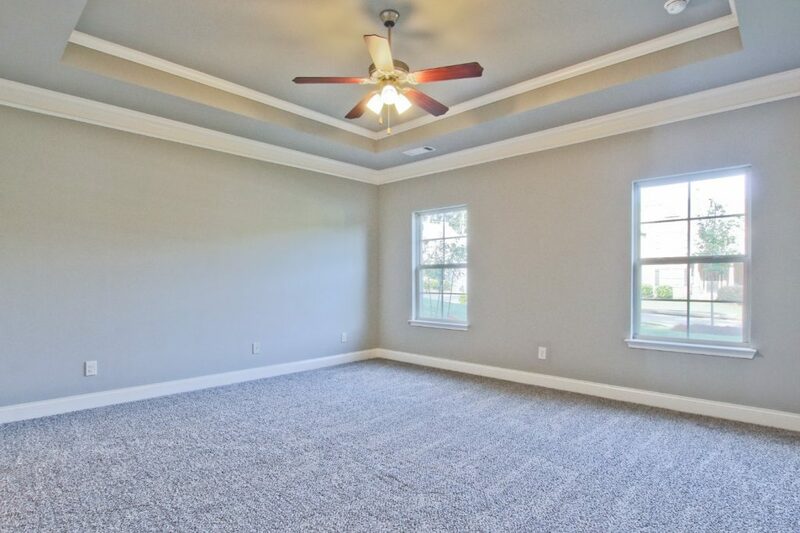 There is also a formal dining room with coffered ceilings, the perfect place for large family gatherings. 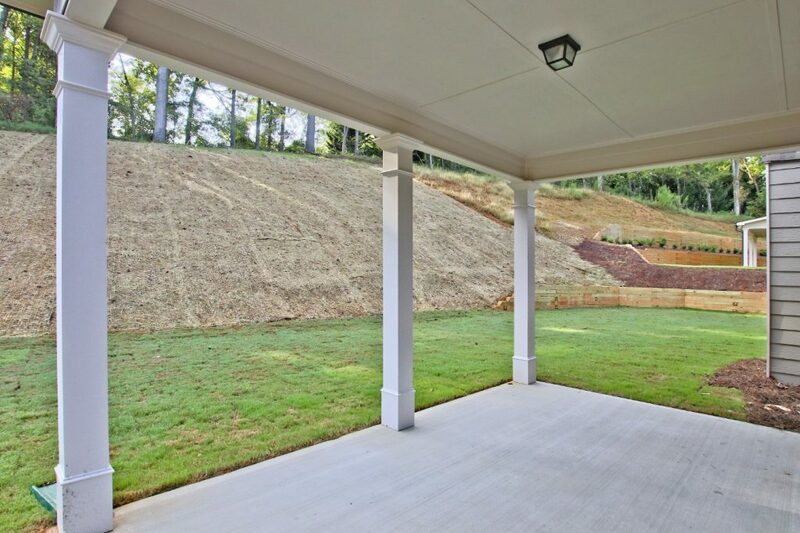 Spend your weekends relaxing on the covered deck with a view of the beautiful backyard. 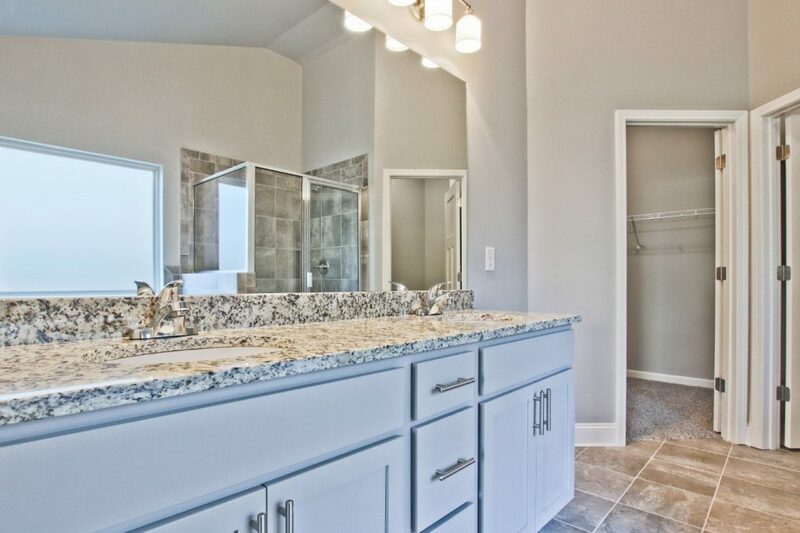 The luxurious master suite on the main level has trey-ceilings, huge walk-in closets, and a spa-like bath with granite countertops, double vanities, shower, and garden tub. Follow the staircase with wrought-iron pickets to the second level and you’ll find three additional spacious bedrooms and an additional bath. An upstairs loft is the perfect spot for a teen hangout or playroom! Spend your weekends grilling out or enjoying a glass of wine on the covered back porch. A stainless steel refrigerator and window blinds are included with this home! This incredible home is priced at $309,625. This is your final chance to own your dream home in this fantastic community! 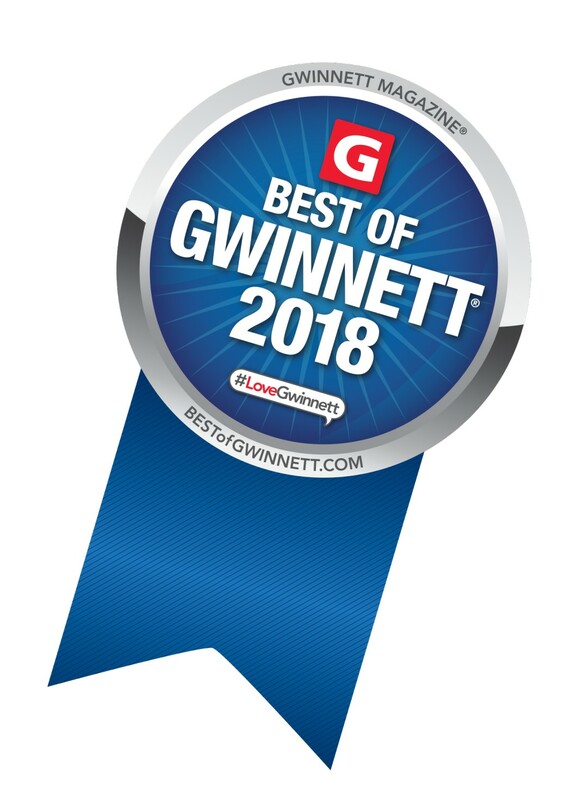 For more information, contact Realtor® Wayne Kelley at 770-330-5978 or wkelley@psponline.com, or Realtor® Phil Nardone at 678-794-0431 or pnardone@psponline.com.